The Korean language is spoken by about 68 million people in Korea (45 million in South Korea and 23 million in North Korea) and by nearly 1 million others in Japan. Hangeul (한글), is Korea’s official alphabet. Unlike Chinese, Korean does not use tones to make semantic distinctions. Its syntax, however, is similar to that of Chinese, while its morphology resembles that of Japanese. Korean is an agglutinative language in which different linguistic elements, each of which exists separately and has a fixed meaning, are often joined to form one word. A distinctive feature of Korean is the use of a number of different forms to indicate the respective social positions of the speaker, the individual spoken to, and the individual spoken about. Korean characters are different than other writing systems. Korean is an alphabet (in which one shape largely corresponds to one sound), with letters that are not written linearly. Instead, they are grouped into syllable blocks. With the fast growing economy in South Korea the request for Korean lanuage translation is increasing. 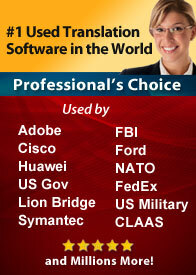 Many companies needing to communicate in the language can use software to help. 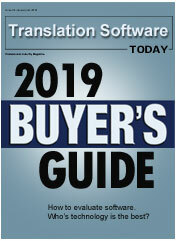 SYSTRAN's Korean language software can help by translating documents quickly. Type in English or Korean and the software translates the words in seconds. We can set up a quick test to show you how to work with translating Korean documents.